Allie Peach and I spent our Monday morning together chasing four toddlers while assembling Magnolia wreaths for our front doors. Moments resembled a very stressful reality TV show that no one would watch, but we powered through and have beautiful Magnolia wreaths to show for the effort! We are excited to share how easy and beautiful making a Magnolia wreath can be along with some tips for making it interchangeable for each season. You can use a variety of wreath bases for your magnolia wreath. A straw base will give the wreath a full rounded look, while a wire or cardboard base will provide a flat and more abstract finish. If you're on a budget, you can simply cut a wreath base out of an old cardboard box. If you have a tree in your yard or neighborhood, your wreath would be a free DIY. You can't beat that! We did both, as pictured below, and they turned out fabulous. 2. Gather your magnolia leaves. Every tree carries a different leaf size with it's own unique variations. Ours were smaller in size than most, but they still gave the wreath it's unique color and texture. Bigger leaves will create a fuller wreath so plan accordingly. If you don't have the luxury of a Magnolia tree in your front yard and aren't brave enough to scavenge your neighborhood for one, check your local craft store for silk variations of the leaf to create a similar style. Once you have several branches gathered, sort through the leaves and pull each individual leaf off of the branch to make them easier to grab and glue. 3. Begin gluing leaves to the wreath base. Place a dot of hot glue near the stem of each leaf and then place them in layers overlapping each other. To create a two-tone style as pictured, alternate using the front and back of the leaves as you layer. Place them close together as they will shrink and curl when they dry and you don't want the base to be showing when that happens. You can always add more later if you need to cover up some bare spots. If you are using a cardboard base, you will need fewer leaves, whereas a 3d shape such as the straw wreath will need the sides covered as well. 4. Continue layering until entire wreath base is covered. Layer the leaves facing the same direction all around the entire wreath base. Eventually you will overlap the beginning to create a finished wreath. Go back through your wreath and add leaves where they fit to create fuller coverage. You may also find areas where you want to glue corners down and give it a more polished look. The leaves will curl as they dry, however, so keep that in mind as you glue. Add some class to your Fall front porch by leaving it plain or adding a few acorn sprigs as a garnish. During Winter, you can spruce this wreath up with some Holly berries (real or synthetic), and add a simple ribbon bow to the top or bottom. Welcome in Spring by adding one or several silk Magnolia flowers for a fresh front door wreath. In the Summer, add a variety of fresh, dried or synthetic wildflowers to coordinate with the style of your home. 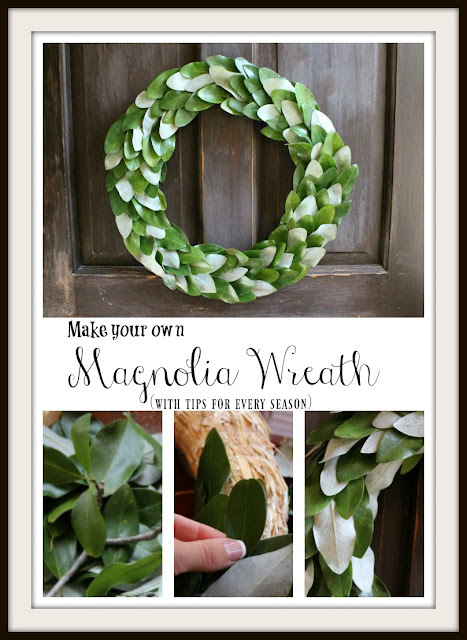 There are so many great ways to dress a Magnolia wreath making your front door an inviting and stylish entrance. We would love for you to share your additional ideas on how you would add to your wreath to celebrate the seasons. Happy wreath making! It looks simple but beautiful. 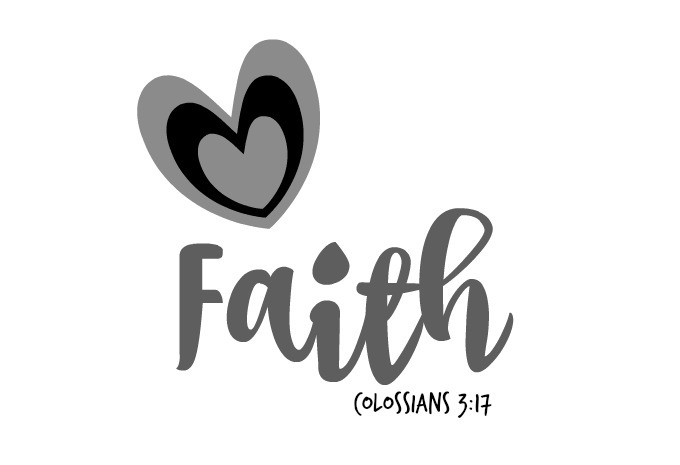 I pin tons of things, but I think this is one that I'm going to get on soon; thanks for your guide. Forgiving the Big Mom Fails.